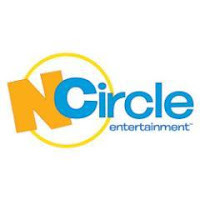 I Am So Excited To Announce That I Am An Official NCircle Entertainment Insider, What Does That Mean For You? I Will Be Bringing You New & Exciting Items Right Here On The Blog! NCircle Provides Entertainment That Will Engage & Educate Your Children With Favorites Like LazyTown, Dino Dan & More! My Kids Are Huge Fans Of Sid The Science Kid As Well As Word World & As A Mother It's Nice To Know That They Are Learning & Having Fun With Their Favorite Characters! My Children Enjoy PBS Very Much & I Couldn't Wait For Them To Watch Sid The Science Kid: The Movie With Me! Sid & His Classmates Are Always Exploring & Learning About The World Around Them & This Movie Was No Different! This Fun Movie Takes A Trip Over To The Museum & Requires Everyone To Work As A Team & Find A Rogue Robot To Save The Day! So What Are You Waiting For? You Can Purchase Your Own Copy Of Sid The Science Kid: The Movie Online At Amazon! Connect With NCircle Entertainment On Facebook & Twitter!